It’s not often we get to take two brand-new GPUs and pit them against each other in one launch article, but that’s what we’re doing with ATI’s HD 4890 and NVIDIA’s GTX 275. Both cards are priced at $249, and both also happen to offer great performance and insane overclocking-ability. So coupled with those and other factors, who comes out on top? The past few weeks for graphics cards have been quite interesting, for a couple of different reasons. 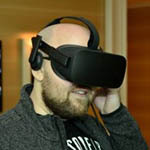 With the Game Developers Conference taking place just last week, we learned from both ATI and NVIDIA of what’s in store for the near-future, and also what’s happening now. Both companies had a lot to talk about at the show, and we’ll be discussing some of the more interesting points here. Before we dive too deep into things, let’s tackle the obvious question of why we’re reviewing two new products from fierce competitors on the same day. As it usually happens, one company will release a new product and the other will follow-up weeks later. Not so this time. Although ATI has had their April 2nd embargo date set in stone for a little while, NVIDIA decided just last week to follow-suit, and as a result, we’re going to be taking a look at both cards in this single article. If either card was in a different price-range or category, a rare occurrence such as this would not have happened. The reason NVIDIA bumped up their date is because the GTX 275 is designed to compete with the HD 4890 head-on, from both a performance and price perspective. Fair enough. What’s a little strange about both of these cards, though, is that it’s not the cards themselves that are too interesting, but rather the current technologies surrounding them. NVIDIA continues to tout their PhysX physics acceleration, while ATI continue to push DirectX 10.1. We have a lot to talk about here, so let’s get right to it. Both of today’s graphics cards fall into the mid-range category, but each settle in at a slightly different place in the respective company’s line-up. For example, ATI’s HD 4890 becomes the company’s fastest single-GPU offering, and with 100MHz added to the Core clock over the HD 4870, we should be seeing some noticeable differences in our results today. NVIDIA’s GTX 275, on the other hand, becomes the second-lowest offering in their G200 chip series, and sits above the GTX 260/216 and below the GTX 285. Some interpretations of this product is that it was a result of NVIDIA’s quick action to compete with ATI, since the product isn’t that different from the other cards we just mentioned, but while the Core clock isn’t that much lower, the Shader clock is 72MHz lower, so that should noticeably help differentiate itself from the GTX 285. One confusing aspect of these cards up to this point has been the pricing. Both ATI and NVIDIA have been keeping as quiet as possible, and from what I’ve heard from certain GPU vendors, NVIDIA changed their mind more than once on their final pricing – possibly since they knew ATI was aiming for $249. ATI themselves haven’t changed their final pricing too much, although they did add a last-minute tidbit saying that launch cards should be carrying a mail-in rebate worth $20, which can bring things down to $229. At last check, NVIDIA says the expected pricing of their card will be $249, which means it will average about ~$50 more expensive than most GTX 260/216s, and ~$100 lower than their fastest single-GPU offering, the GTX 285. For ATI, their HD 4890 will retail for about ~$50 over their HD 4870, and ~$150 less than their dual-GPU HD 4870 X2 card. ATI says that their card will have immediate availability, while NVIDIA expects their cards to be readily available on April 14. Over the past week, we’ve been briefed by both ATI and NVIDIA, so we’ll be taking a look at what’s new from both companies in some depth on the following two pages. Rob founded Techgage in 2005 to be an 'Advocate of the consumer', focusing on fair reviews and keeping people apprised of news in the tech world. Catering to both enthusiasts and businesses alike; from desktop gaming to professional workstations, and all the supporting software.